We all know the controversy around GMO foods, but few know there are plenty of other genetic engineering examples that can change the humankind’s fate. Some are already in use, while others await approval or require some more testing and stabilization. No matter the case, they all show great promise in medical and environmental sciences. Here are 7 examples of genetic engineering that will change the way we deal with disease and environmental issues. 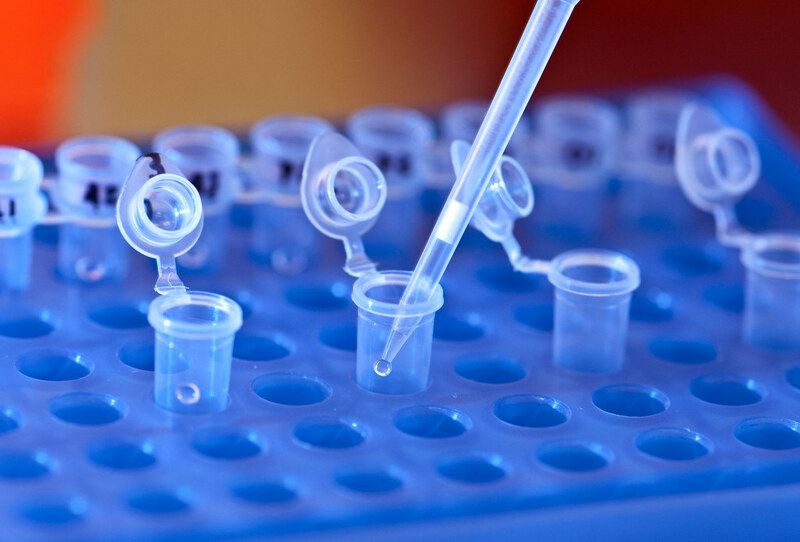 The most prevalent examples of genetic engineering are those of microorganisms. Bacteria are easy to genetically alter since they have a simple cellular structure with large, easily identifiable components. They are already used today in medicine, mainly to synthesize human proteins much faster and cheaper. However, the future looks even more promising. Bacteria were first modified in 1978 by introducing the human insulin gene in E. Coli, but it is also synthesized from yeast at the moment. Insulin is the oldest pharmaceutical compound that is derived from GMOs. The technology helped tens of millions of diabetics over the last decades and will continue to do so in the future. Although common and easily treatable nowadays, hemophilia can be fatal. Since the 1960s, this terrible disease that causes uncontrolled bleeding was treated with purified factors from human blood. However, this method is costly and exposes hemophiliac patients to blood-borne diseases like AIDS or hepatitis. Fortunately, inexpensive and pure clotting factors can be synthesized by hemophiliacs who receive the clotting factor genes from healthy people. Although promising, the technology is not yet stable for direct human use. A major impediment is the difficulty in regulating the amount of clotting factors produced by an organism. Thus, it is not yet safe to be used directly on humans since too much factor would cause clotting even when no cuts are present. But it definitely is a genetic engineering example we are close to implementing on a large scale. A few decades ago, dwarfism was treated with hormones extracted from corpses. However, this exposed patients to a series of harrowing diseases like Creutzfeldt-Jakob which causes brain degeneration and death. Thus, recombinant bacteria were used to mass produce human growth hormones with no risk of contamination. We’re not sure GMO foods are life-threatening, but genetically modified organisms definitely are life-saving. Are they unnatural? Yes. But will they save our friends and family from a lifetime of costly and suffering-inducing struggles with common health affections? Also yes. Although none of the following genetically engineered animals examples have been implemented on a large scale, they show great promise for the future. Their most prevalent applications are environmental, but some examples of genetic engineering in animals might even be applied to medical fields. 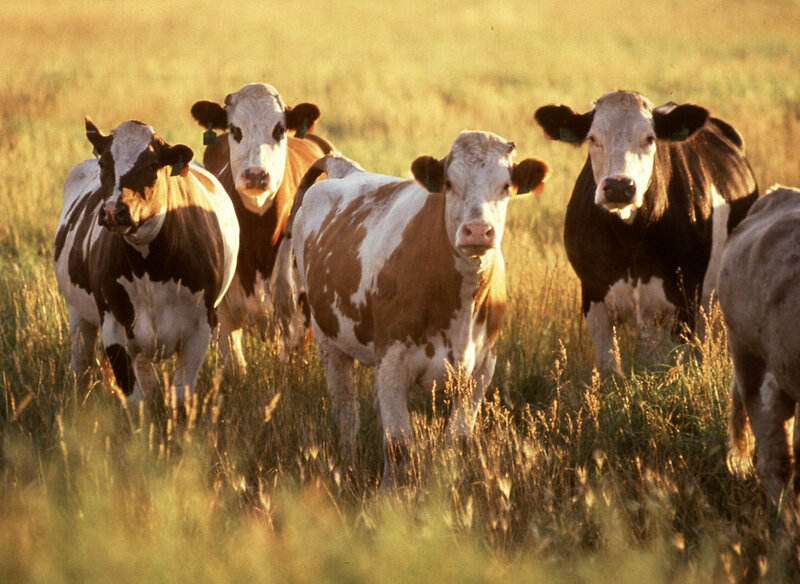 This might seem like a joke, but cow flatulence is a serious environmental threat. During digestion of grass and hay which contain cellulose, cows produce bacteria responsible for a high methane output. This greenhouse gas is 25 times more powerful than carbon dioxide and accounts for 20% of the greenhouse emissions in agriculture. The daring project aims to cut down methane emissions from cows with at least 10% by using genetics to modify the microbiology of the cows’ digestive tracts. However, the numbers would increase up to 20% if close attention was paid to their diet. Even though still in its incipient phase, the project is among the most promising genetic engineering examples of 2016. Spider silk is known as one of the toughest materials of all time, surpassing revolutionary scientific breakthroughs in strength, elasticity, and durability. For decades, scientists have tried to mass produce mass silk by mimicking its components or setting up spider farms. But their efforts have all been in vain. No artificial imitation has the same properties, and spiders are extremely territorial creatures which kill each other. And this is when genetic engineering comes in. Initially developed by Nexia Biotechnologies, transgenic goats can produce milk that contains recombinant DNA spider silk. The material, trademarked as BioSteel, is up to 10 times stronger than steel and stretches up to 20 times without losing any of its strength. In addition, it’s also resistant to temperatures between -4 and 662 degrees Fahrenheit. The implications are limitless. From parachutes to artificial ligaments and tendons, sutures, or bulletproof clothing, BioSteel will revolutionize countless fields of activity. However, we are a few good steps away from mass producing this revolutionary material. First of all, not all goats subjected to the treatment end up with the desired spider genes. Secondly, the extraction process still is expensive. But given the speed at which technology evolves, a few decades seem more than enough to make it available in medicine and for commercial use. Also known as Enviropigs or Frankenswines, these pigs were genetically modified to synthesize phosphorus from natural feed more efficiently. Mouse and E. Coli DNA was added to their genetic material to create a new line that is able to produce the enzyme phytase from their salivary glands. Once swallowed, it quickly degrades the ingestible phytic acid in the stomach and breaks it down in phosphates and other more or less useful components. This is a genetic engineering example that could change farming and bring it back to basics by eliminating the need for extra phosphorus in pig feed. 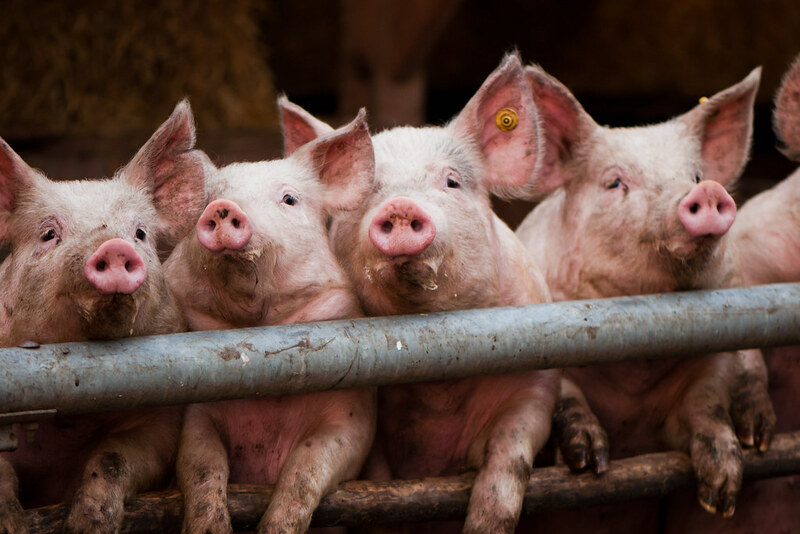 If you work in or passed by a pig farm in the last century, you probably know that terrible smell that comes from it. That’s phosphorus, and its smell is the least worrying effect. For those who don’t know, pig manure currently is an important source of soil and water pollution. With these GM pigs, less phosphorus would seep into our waters, less toxin-producing algae would develop, and less (or no) fish would die because of it. If all farmers used this method, we would see a decrease of up to 60% in phosphorus pollution from farms. And it’s closer than we think – the line is at its 10th generation and everything went incredibly well so far. The gene is transmitted from one generation to the next through conventional breeding and is as stable as any other genetic trait. This is one of the genetic engineering examples we are close to implementing in animal farming in the next 2 decades. It is said that every living being out there has a well-defined role in the ecosystem. Like gears in a huge mechanism, every species brings its contribution to level its activity and balance our sensitive planet. However, mosquitoes are the only ones that seem to contradict this theory – unless their well-defined role is population control. They’re like that tiny screw that falls in and erodes most of the mechanism’s components. 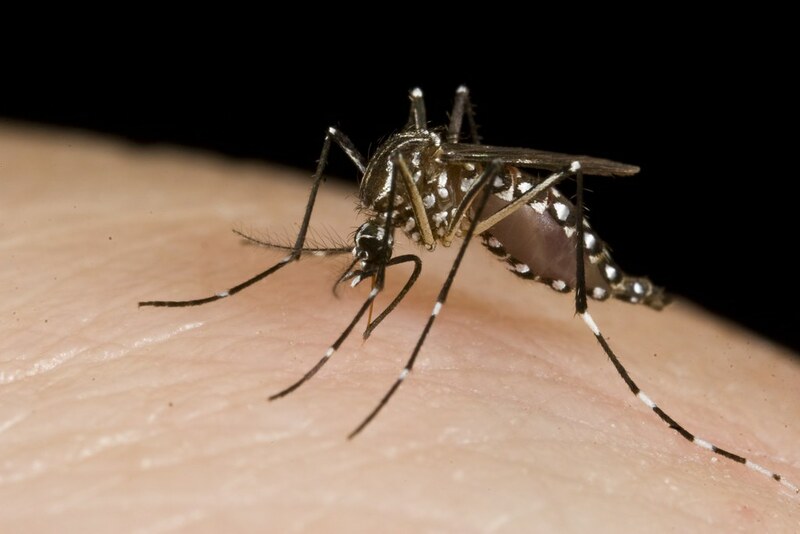 Apart from the well-known malaria and the Zika virus, they also spread dengue, the West Nile virus, yellow fever, filariasis, encephalitis, and many other life-changing or fatal diseases in humans and animals. That’s why scientists came up with a way to eradicate mosquito populations once and for all. They created flightless females and males that are either sterile or offspring individuals that die before breeding the next generation. This can eradicate diseases which have no cure, or at least contain them to the current generation. In addition, it will also drastically reduce the use of harmful insecticides that are either known or suspected to cause cancer, developmental, or reproductive issues. The cost? Driving whole mosquito species to extinction. This might not seem like much, but what if they actually do have a critical role we are not aware of yet? The project is still in its research phase and many years will pass until it will have to be either approved or rejected. Hopefully, we’ll find out the answer soon enough. These all seem remarkable breakthroughs – and they may very well be. However, we should take everything with a grain of salt. Many oppose genetic engineering stating it is unnatural and that it goes not only against religious principles but against moral ones as well. Such examples of genetically engineered organisms might include featherless chicken which, for us, are cheaper to raise and process, or human organ bearing pigs, which would revolutionize medicine. But what about the ethical implications? When does it get too far? Where do these genetic engineering examples stop being efficient and can be classified as cruel? Should we just let nature and pollution run their course and kill our loved ones even though there might be a solution out there? Not to mention the drastic reduction of the harmful environmental impacts GM animals could implement. It’s true that the food processing industry and medical sciences already are the main reasons why so many animal rights groups materialized. But does this make it ok? Is shedding light on the already existing issues make the new ones less of a problem? After all, a lab rat – be it cloned or not – still is an animal that feels pain, stress, and affection towards its peers. Does being the most intelligent creatures on Earth enable us to have our way with the others “for the greater good”? Hey Buddy!, I found this information for you: "Genetic Engineering Examples that Promise a Better Future". Here is the website link: https://backtofarm.com/genetic-engineering-examples/. Thank you.